US president, Donald Trump, called his Nigeria counterpart, Muhammadu Buhari, lifeless after their April meeting, claimed global business publication, Financial Times in a recent publication. Buhari and Trump met at the White House on April 30. Both leaders discussed issues bordering on fighting terrorism and economic growth. 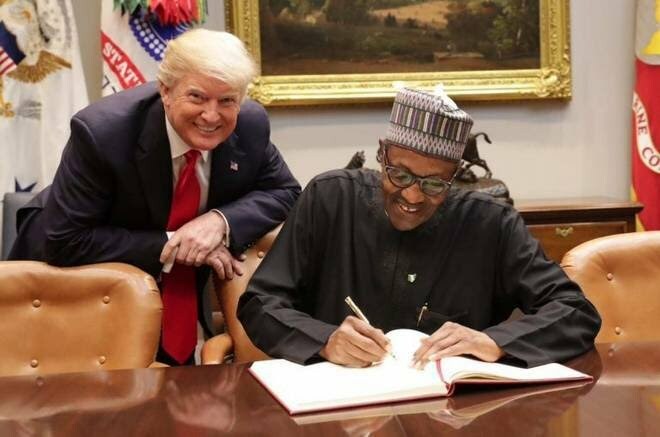 However, as Trump is set to welcome President Uhuru Kenyatta of Kenya, Financial Times in an article titled Africa looks for something new out of Trump claimed that the US leader described his April meeting with Buhari as ‘so lifeless’. The paper added that Trump warned his aides that he never wanted to meet someone so lifeless again.